There's an interesting time gap that exists between the events of Matthew Vaughn's X-Men: First Class and Bryan Singer's X-Men: Days of Future Past. While the former was set in 1962 - allowing to use the Cuban Missile Crisis as a backdrop - the sequel finds the same characters in 1973. We've spent months scratching our heads trying to figure out both the explanation for the time jump and figuring out exactly what happened within that decade-plus amount of time. Thanks to the new viral video you see above, posted by Nerdist, we now have a few new answers. As it turns out, a little over a year after the events seen in X-Men: First Class, Magneto, as portrayed by Michael Fassbender, found himself caught up in the conspiracy to kill President John F. Kennedy. While it sounds like there isn't enough evidence to fully support the theory as fact, the fake documentary says that the villainous master of magnetism actually redirected the second shot fired by Lee Harvey Oswald's in book depository and had it kill the Commander in Chief (which, I suppose, is the X-Men movie universe explanation for the "Magic Bullet." But the story goes even deeper than that. At the end of the video there is a link for TheBentBullet.com, a website entirely dedicated to "JFK and the Mutant Conspiracy." It's a pretty intricate website with cool slideshows, cool doctored images and video presentations, but the coolest thing about it has to be the long essay titled "The Bent Bullet" from an author named Harper Simmons. For being entirely based on a fictional history it goes surprisingly in-depth, and should be a fun read for all comic book readers out there. 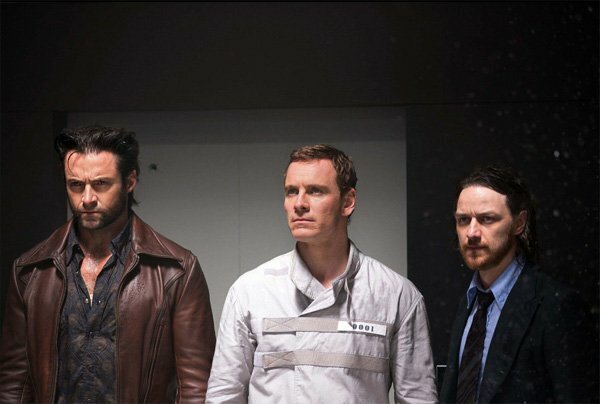 Also an interesting tidbit: did you notice that the prison uniform that Magneto is wearing in the video is the same one that's featured in this official Days of Future Past still? Based on the legendary comic book arc created by Chris Claremont, John Byrne and Terry Austin, X-Men: Days of Future Past begins an apocalyptic future where mutants struggle to survive thanks to giant mutant hunting robots called Sentinels. In order to try and stop the world from ever crumbling, Wolverine's consciousness is sent back in time and he is given a mission to reunite Professor X and Magneto so that they can work together and stop an event that changes history forever. Jennifer Lawrence, Nicholas Hoult, Sir Patrick Stewart, Sir Ian McKellen, Halle Berry, Anna Paquin, Shawn Ashmore, Ellen Page, Daniel Cudmore, Adam Canto, Peter Dinklage, Omar Sy, Booboo Stewart, Evan Peters, Josh Helman, and Fan Bing Bing all star in the movie, which will be in theaters on May 23rd.